James Richard Meers was a longtime fireman in Waco. The photo above shows him at enter atop Fire Engine #5 at the old firehouse location of 1716 Clay Avenue. 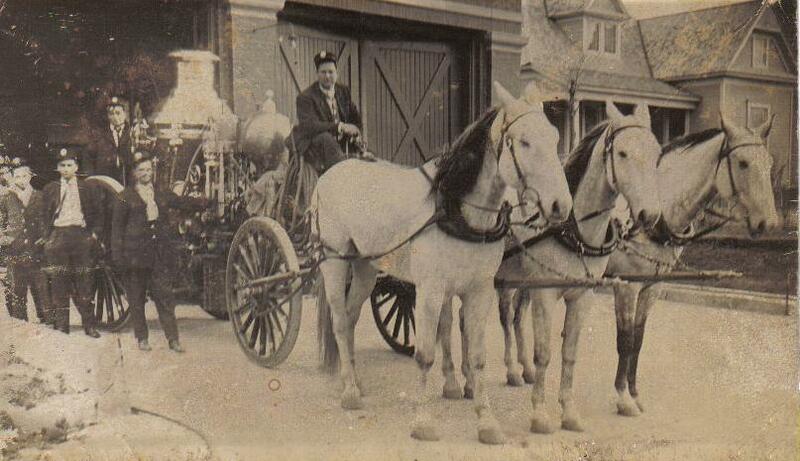 He began as a volunteer with the Waco Rescue Hook & Ladder Company in 1892 when he was just fifteen years old. Fifteen years later, he was working as a fireman when he answered the call to battle a fire downtown on the Square. 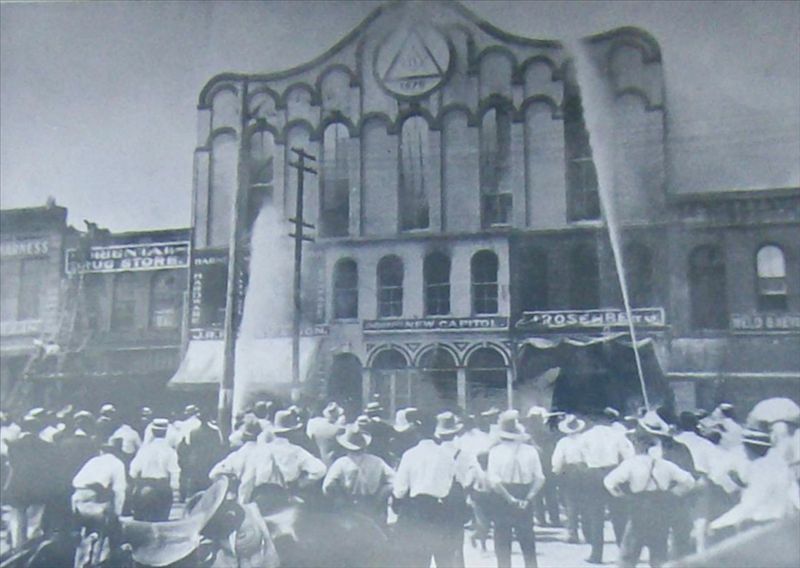 That battle was lost and the fire took our once nationally famous Masonic Temple, the Downs Building. 1873; and was known as the Rescue Hook and Ladder Company No. 1. Colonel Wiley Jones was the chief. months, I went on the night shift for three years and eight months. received double pay, or $60 for the month in which they did the work. I was there I turned in my first alarm. A fire broke out in the J. W.
us out. The place where the fire was, burned down. trailer. The Cotton Palace burned in 1893.
into the station with the red light girls hung all over it. drinking, and haven't drank since. I was about twenty-five then. that I tried, and it took some hard work to get those two to do right. I'll never come back.' He didn't; he died in France of the flu". Upon retiring in 1945, Brother Meers had worked or volunteered as a Waco firefighter for 53 years.